The 42-inch Yard Machines Riding Mower makes it easy for you to get yard work done. 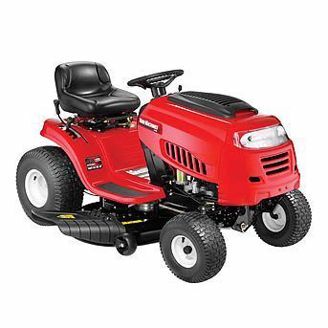 This hardworking machine features a 420cc POWERMORE engine as well as a seven-speed shift-on-the-go transmission to give you the power to drive the MTD riding mower up small hills and ridges. Other capabilities of the mower, available for purchase separately, include mulching and bagging to help you improve and maintain the appearance of your yard.